PRESIDENT CYRIL Matamela Ramaphosa’s believes healthy living is a cornerstone of every human-being, hence when time allows, would partake in walking distances at any corner of the this beautiful country of ours. That nail-biting moment. 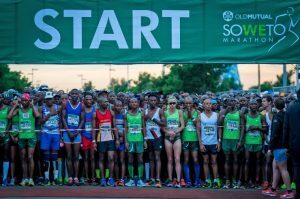 Soweto Marathon enters its 25th edition this Sunday, and some of these runners will be partaking alongside the first citizen of the country. Believe it or not, the health-conscious Prez has been confirmed to partake in the 2018 Old Mutual Soweto Marathon that starts and finish at the iconic FNB Stadium on Sunday morning, November 4. The surprise announcement was made at the media brief on Thursday, by the organisers of the race that enters its 25th edition. Over 30 000 runners- both local and international- will pound and sweat through the streets of Soweto. Race director Danny Blumberg confirmed the by stating:” “Yes I can confirm that President Cyril Ramaphosa will be running. “We can confirm that he will be in attendance,” although did not confirm which race he will be racing. The main race (42‚2km) will start at 6am‚ followed by the 21‚1km at 6.30am while the casual runners resume at 7am. 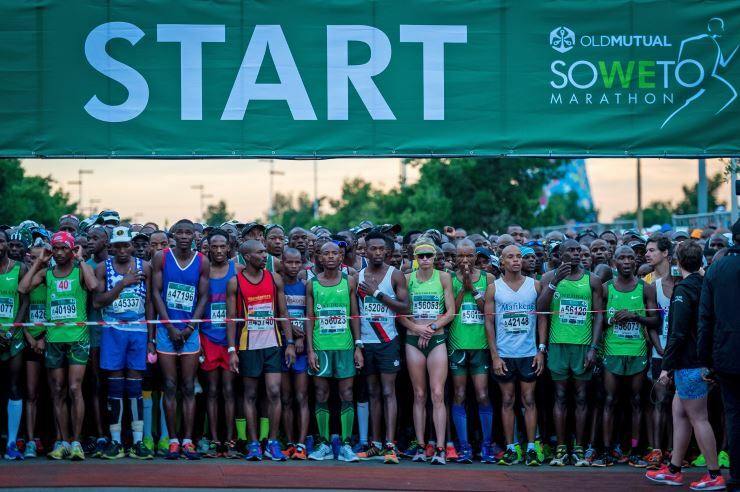 Runners have been urged to arrive on time and according to Soweto Marathon Trust Sello Khunou, there will be no complete closures but rolling road closures. “As a race and this being the People’s Race we don’t want to completely inconvenience the Sowetans with complete road closures‚” said Khunou. Pres Ramaphosa last week also made a walkabout at Vilakazi Street in Orlando, Soweto, following the investors’ summit. 2017 winner from Lesotho- Tshepo Mathibelle will try and defend his title as he battles alongside Sintayehu Legese Yineso (came second) and Ntsindiso Mphakathi (third place) last year. Old Mutual Head of Brand Thobile Tshabalala says, “As very proud title sponsors of this special and rapidly growing event, we share in the excitement of the organisers and the community around the event. The route honours Soweto’s rich history and runners pass eight significant heritage sites on the marathon route, namely the Chris Hani Baragwanath Hospital, Walter Sisulu Square, the Regina Mundi Catholic Church, Credo Mutwa Cultural Village, Morris Isaacson High School & June 16 Memorial Acre, Vilakazi Street and the Hector Pieterson Memorial.